A major preoccupation of policymakers is the design and implementation of public policy for efficient resource mobilization, allocation, stabilization of the economy and redistribution of wealth to guarantee minimum standard of living for all. At the extremes, the Capitalist and Socialist systems are characterized by the supremacy of self-interest in the former and total state control in the latter. Exacerbated by the prevalence of riba in the systems, unwanted economic outcomes; social and economic inequality, poverty, unemployment, crimes, booms and recessions, thrive. The Islamic economic system which blends the material pursuit with spiritual upliftment tailors economic policies towards attainment of Maqasid al-Shari’ah. As a pillar of Islam and an omnibus instrument of economic stabilization, Zakah serves as an automatic catalyst with backward and forward implications on resource mobilization, allocation, stabilization and redistribution of wealth. Using a heuristic approach, the paper conducts an in-depth assessment of the socioeconomic impact of Zakah in an Islamic economy. Evidences from review of both classical and empirical literature unveil the positive impact of Zakah on consumption, savings, investment leading to employment and higher productivity, (Kahf 1980; Metwally 1983; Khan 1984; Ahmad, 1985; Kuran 2006; Azmi, 2009 and Norulazidah, Ali & Myles, 2010. Further, Zakah acts as an expansionary tool to those at lower income level and a discretionary tool to those at higher income level to redistribute income, remove poverty and facilitates provision of desired public good for the benefit of the poor Faridi (1983). The paper posits that in view of the overwhelming empirical evidences in the literature, Zakah is an effective tool for tackling socioeconomic problems of our modern times. Abdullah, Taufik (1991). Zakat collection and distribution in Indonesia, in The Islamic Voluntary Sector in Southeast Asia, Ed. Mohammed Ariff. Pasir Panjang, Singapore: Institute of Southeast Asian Studies. Abdul-Wahab, Mohammed, et al., (1995). Malaysia: A Case Study of Zakat Management. In el-Asker and Sirajul Haq (eds. ), Institutional Framework of Zakat: Dimensions and Implications, Jeddah, IRTI/IDB, pp. 297-378. Ahmad, Ausaf (1985). Income Determination in an Islamic Economy, Jeddah, Scientific Publishing Centre, King Abdulaziz University, Jeddah, Saudi Arabia. Ajeel, Abdu Al Qader Dahl (1995). Kuwait. Cited in: el-Asker and Sirajul Haq (eds. ), Institutional Framework of Zakat: Dimensions and Implications, Jeddah, IRTI/IDB, pp. 259-295. Awad, Mohammad Hashim (1989). “Adjusting Tax Structure to Accommodate Zakah”, in: I. A. Imtiazi, et al., (eds. ), Management of Zakah in Modern Society, Jeddah, IRTI, IDB, pp. 77-96. Awan, M. Mahmud (1980). Economic Policy for Development – A Treatise on Zakat, in Raquibuzzaman (Ed.). Some Aspects of the Economics of Zakah, pp. 185-207. Azharuddin, M., (1988). “Role of Zakat in a Modern Economy with Reference to Bangladesh,” in: Rafiqul-Islam Molla (et al.) (eds. ), Frontiers and Mechanics of Islamic Economics, Sokoto, Nigeria, University of Sokoto, pp. 155-68. Azmi, Sabhuddin (2009). Islamic Economics: Public Finance in Early Islamic Thought, Goodword Books, New Delhi, India. Balogun, S.U. (1999). “Re-appraisal of the Method of Collection and Distribution of Zakah in Nigeria” in: Bashar, M.A.L and Aminu S.M. (eds. ), Fiqh and Economics, Sokoto: Usman Danfodio University, pp. 39-47. Chapra, Umar M. (1979). The Islamic Welfare State and its Role in the Economy, The Islamic Foundation, Leicester, United Kingdom. Chowdhury, Nuimuddin (1983). Aggregate Demand and Zakah, Thoughts on Economics, vol. 4(9), pp. 1-8. Darwish, Ahmad Fad and Zain, Mahmud Siddiq (1985). Comments on Metwally in Journal of Research in Islamic Economics, vol. 2(2), pp. 121-130. Duncan, O.D. (1961). A Socioeconomic Index for all Occupations, pp. 109-138 in Occupations and Social Status, edited by Albert J. Reiss, Jr. New York: Free Press. El-Din, S.I. Tag (1986). 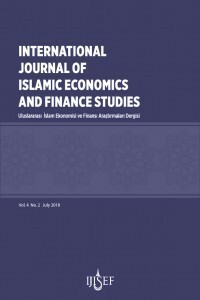 Allocative and Stabilizing Functions of Zakat in an Islamic Economy, Paper Presented at the International Seminar on Fiscal Policy and Development Planning in an Islamic State, Islamabad. Faridi, F.R. (1983). A theory of fiscal policy in an Islamic state, A paper published in "A Fiscal Policy and Resource Allocation in Islam" edited by Ziauddin Ahmed, Munawar Iqbal, M. Fahim Khan Munawar. Faridi, F. R., (1995). “India”, (a case study of Zakah Management), in: el-Ashker and Sirajul Haq (eds. ), Institutional Framework of Zakah: Dimensions and Implications, Jeddah, IRTI, IDB, pp. 231-57. Fuadah, et al., (2013). cited in Malik, Bilal Ahmad (2016). Philanthropy in Practice: Role of Zakah in the Realization of Justice and Economic Growth, International Journal of Zakah, vol. 1(1) 2016 pp. 64-77. Ibrahim, P. and V. Nirmala (2011). Relevance of Islamic Economic Measures in Achieving Inclusive Growth in Muslim Minority Countries: A Case Study of Kerala, India. 8th International Conference on Islamic Economics and Finance on Sustainable Growth and Inclusive Economic Development from an Islamic Perspective: Linking Research with Policy, Qatar, 19-21 December, 2011. IMF (2015). cited in Malik, Bilal Ahmad (2016). Philanthropy in Practice: Role of Zakah in the Realization of Justice and Economic Growth, International Journal of Zakah, vol. 1(1) 2016 pp. 64-77. Imtiazi, I. A., M. A. Mandan, M. A. Niaz, and A. H. Deria, (eds.). (1989). Management of Zakah in Modern Muslim Society. Jeddah: Islamic Development Bank. Karwai, S.A. (2012). Islamic Economic Development, in Kawai, S.A., A.G, Harbin, and B.T. Jibril (2012). Ed. Islamic Economics: A Book of Readings, Published by the International Institute of Islamic Thought (IIIT), Nigeria Office. Kahf, M. (1980). “A Contribution to the Theory of Consumer Behaviour in an Islamic Society”, in Studies in Islamic Economics by Ahmad, K., Ed. Leicester: The Islamic Foundation. Kahf, M. (1983). “Taxation policy in Islamic economy" A paper published in "A fiscal policy and resource allocation in Islam" edited by Ziauddin Ahmed, Munawar Iqbal, M. Fahim Khan Munawar. Kahf, M. (1989). Principles of Socioeconomic Justice in the Contemporary Fiqh of Zakah, Jeddah: Islamic Research Training Institute, Islamic Development Bank. Kahf, M. (1997). Potential Effects of Zakah on Government Budget. IIUM Journal of Economics and Management, 85. Khan, Muhammad Akram (1983). Islamic Economics: Annotated sources in English and Urdu, The Islamic Foundation, Leicester UK. Khan, M. Fahim (1984). Macro Consumption Function in an Islamic Framework, Journal of Research in Islamic Economics, vol. 1(2), pp. 1-24. Khan, Muhammad Akram (1994). An Introduction to Islamic Economics: Islamization of Knowledge Series, 13, Islamabad, the International Institute of Islamic Thought (IIIT) and the Islamic Research Training Institute (IRTI), Jeddah, Saudi Arabia. Khan, Muhammad Akram (1995), "Legal, Administrative, and Financial Control", in: el-Ashker and Sirajul Haq (eds. ), Institutional Framework of Zakah, Jeddah, IRTI/IDB, pp. 65-102. Khan, M. F. (2007). Integrating Faith-based Institutions (Zakah and Awqaf) in Poverty Reductions Strategies (PRS). . Islamic Research and Training Institute (IRTI), 31. Kuran, T. (2006). Islam and Mammon: The Economics Predicaments of Islamism, Oxfordshire: Princeton University Press. Malik, Bilal Ahmad (2016). Philanthropy in Practice: Role of Zakah in the Realization of Justice and Economic Growth, International Journal of Zakah, vol. 1(1) 2016 pp. 64-77. Mannan, M.A. (1983). Zakah, Its Disbursement and Inter-poor Distributional Equity, Thoughts on Economics, vol. 4(8), pp. 2-14. Mawdudi, Abul A’la (1975). Political Theory of Islam, in Islam, Its Teachings and Massage, (Eds.) Kurshid Ahmad, Islamic Publication Bureau, Lagos, Nigeria, pp. 147-172. Mawdudi, Abul A’la (1988). May’ashiaat-i-Islam, Islamic Publications, Lahore. Metwally, M.M. (1983). "Fiscal policy in an Islamic economy", A paper published in "A Fiscal Policy and Resource Allocation in Islam", edited by Ziauddin Ahmed, Munawar Iqbal, M. Fahim Khan Munawar. Magda Ismail A. (2013). Potential of Zakat in Eliminating Reba and Eradicating Poverty in Muslim Countries, European Journal of Business Management, Vol. 12(11). Sadeq, M. Abdul Hassan (1990). Economic Development in Islam, Pelanduk Publication, Kuala Lumpur, Malaysia. Qardawi, Y. (1997). “Zakah Role in curing Social and Economic Malaise (Arabic)”, Economics of Zakah: Book of Reading, Eds. Monzer Kahf, Islamic Research and Training Institute, Jeddah, Saudi Arabia. Qardawi, Y. (1999). Fiqh az-Zakah (Arabic), Dar al-Taqwa Ltd, London. Rabi, Hifzur (2006). Economic Justice in Islam: Monetary Justice and the Way out of Interest (Riba), Published by A.S. Noordeen, Kuala Lumpur, Malaysia. Rahman, M. (2003). Zakah Calculation: Primarily Based on Fiqh-uz-Zakah by Yusuf-al-Qardawi, Leicester: The Islamic Foundation. Sadly, (1990). In A Survey of the Institutions of Zakat: Issues, Theories and Administration, Discussion Paper, Islamic Development Bank (IDB) and Islamic Research and Training Institute (IRTI). Salama, A. A. (1983). “Fiscal Policy of an Islamic state” published in Fiscal Policy and Resource Allocation in Islam Edited by Ziauddin Ahmed, Munawar Iqbal and M. Fahim Khan International Centre for Research in Islamic Economics King Abdulaziz University, Jeddah And Institute of Policy Studies, Islamabad. Sarif, Shaili and Nor ‘Azzah Kamri (2009). A Theoretical Discussion of Zakat for Income Generation and its Fiqh Issues, Shari’ ah Journal, Vol. 17 (3), pp. 457-500. http://www.thefreedictionary.com/receivable. Shirazi and Amin (2006). cited in Malik, Bilal Ahmad (2016). Philanthropy in Practice: Role of Zakah in the Realization of Justice and Economic Growth, International Journal of Zakah, vol. 1(1) 2016 pp. 64-77. Shehatah, Shawki Ismail (1985). "Limitations on the Use of Zakah Funds in Financing the Socioeconomic Infrastructure of Society"
Siddiqi, S. A. (1979). “Zakah”, in Public Finance in Islam by Sheik Muhammad Ashraf, Ed., Lahore: Islamic Publications. Yakoob, A. (2009). Case for Interest-free Financial Institutions in Kerala. Unpublished Ph.D. Dissertation, Kottayam, India: Submitted to M. G. University. Yusoff, Wan Sulaiman bin Wan (2008). Modern Approach of Zakah as an Economic and Social Instrument for Poverty Alleviation and Stability of Ummah. Jurnal Ekonomi dan Studi Pembangunan, Vol. 9, No. 1, pp. Ziauddin A., M. Iqbal, M. and F. Khan (1983). Selected papers presented to the first Seminar held in Islamabad, King Abdul Aziz University, Jeddah, and Institute of Policy Studies, Islamabad. Zarqa, M.A. (1976). Macroeconomic Estimation of Potential Zakah Proceeds, and their Relationship to economic Development, Paper submitted to the Symposium on Islam and Development (Philadelphia: April 1976). Zarqa, M.A. (1997). “Role of Zakah in the Economy and in Fiscal Policy (Arabic)”, Economics of Zakah: Book of Reading, Kahf (eds. ), Islamic Research and Training Institute, Jeddah, Saudi Arabia.